This past week we did the first mowing of St. Peter’s Cemetery. Here’s one view. 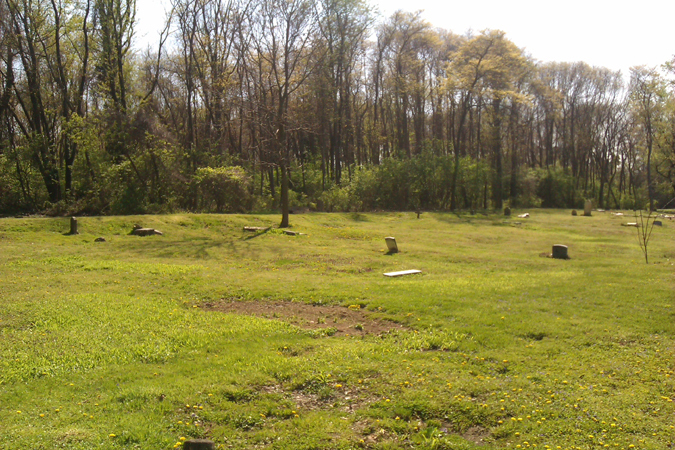 The cemetery has 22 acres. We have to mow about 14 acres (the other 8 are forest). It takes 3 people on 3 mowers to do it all in one day. 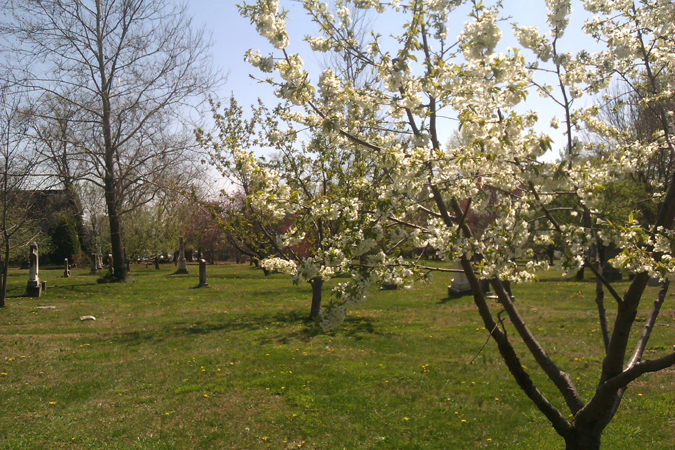 On the east side, whoever’s mowing has to weave between flowering apple trees. 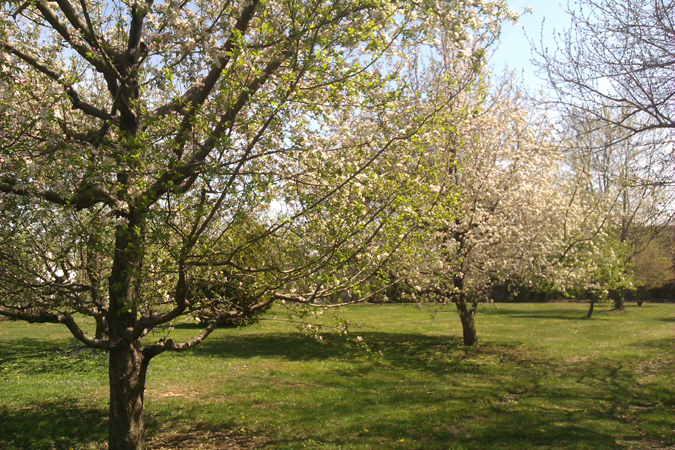 Looks pretty but if you’re not paying attention, one of those lower branches could knock you off the mower!